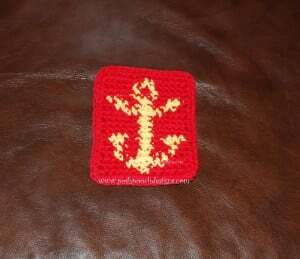 Celebrate summer by the sea with this cute anchor coaster. It measures 5 by 6 inches, making it great for the kitchen table, but you could also use this as an applique or anywhere else! You will need a cotton yarn and an I crochet hook to complete this.